When we read a book or an article, we assume that the author is writing about a particular topic, and that the author communicates a point. For example, if you were reading an article about global warning, you wouldn't expect the author to all of the sudden include a section about why their favorite food is pizza. 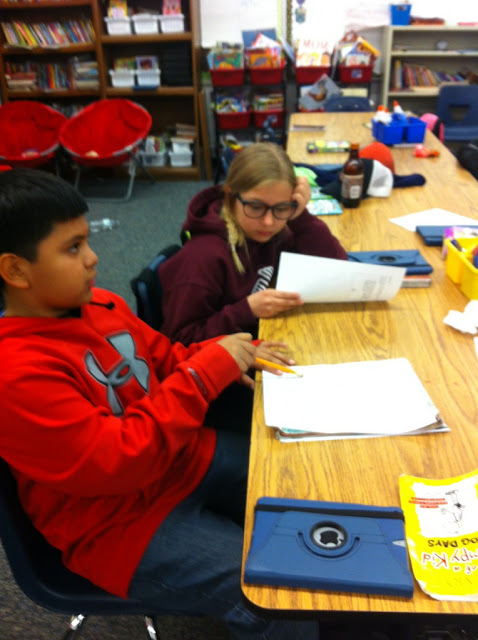 Students often struggle with the process of focusing their writing on a particular subject or topic. 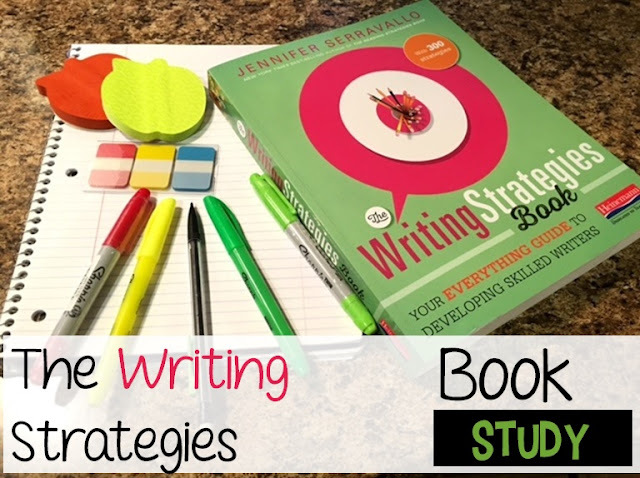 Serravallo suggests that we teach students that it's important to have a focal point in mind when they begin writing, but they should also be open to revisions as their writing progresses if they find that it is not going as planned. * have a difficult time articulating their focus. * have a difficult time matching details to their focus topic. Serravallo recommends conferencing with a student to help determine if they could use support with this goal. She suggests asking them, "What do you think your piece is mostly about?" Does their writing reflect their answer? If not, consider this as a possible goal for the student. This strategy is a great one for those students who tend to have too big or broad a topic as they write. This might be a student who is writing about every single detail about their summer vacation when they really want to write about learning to swim. 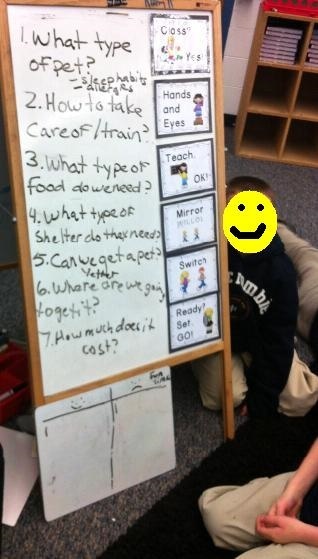 It might also include a student who is writing about how to take care of a dog, but also includes lists of breeds or other types of pets. What is the most important thing about my topic? What details support this particular topic? Which ones go off course? My students often struggle with writing with their audience in mind, so I was really drawn to this strategy. Serravallo suggests that students think about the purpose of their writing. Are they writing to entertain, inform, or persuade? Then, they should think specifically about who the reader will be and what they will want to know about. This strategy is great for students who are working on informative or persuasive pieces. It works best when the student has collected several pieces of research or writing material. Students look back at the material they have collected to see if they can find patterns in the details that fit together. They can ask themselves what main idea or ideas they could focus their informational text on. Make sure to visit Tried and True Teaching Tools, our official hostess for this week, for even more ideas!